The new Bosch G-Series is the company’s most powerful control panel yet. This integrated alarm solution is perfect for large-scale commercial security systems and is approved for combined UL commercial and intrusion and fire applications. If that wasn’t already enough, it also features integrated control of up to 32 doors with as many as 2,000 card holders, as well as direct IP video camera control and integration with all Z-Wave smart home devices. 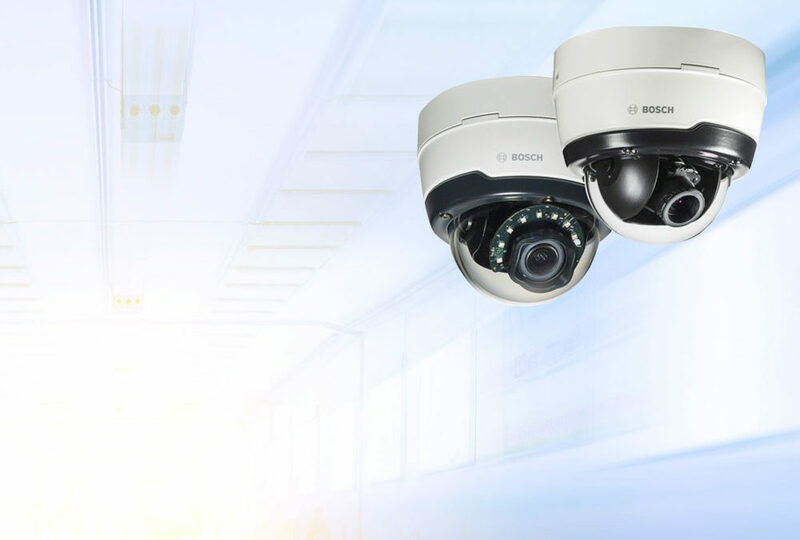 This product’s functionality also means that the G-Series’ panels can directly control up to 16 Bosch cameras via the IP network, while also supporting up to eight video analytics alarm inputs per camera. The new video verification feature will also notify you and your security monitoring service of alarm events with a two-way audio option for onsite warnings. This means businesses will be able to reduce their security costs, as a fully-automated and monitored alarm system will mean you can reduce the amount of on-site security personal you employ. A range of compatible peripherals includes the new Commercial Series’ intrusion detectors, which again raises the bar in commercial intrusion detection. These new detectors deliver excellent catch performance for all commercial and high-security applications while minimising costly false alarms. Unique features available only from Bosch ensure accurate, reliable performance, while also speeding up the installation time by as much as 25 per cent. Providing an affordable and effective solution for integrated building access control for up to 32 access doors, 600 inputs and 2,000 users – the G-Series is ideal for mid-large sized commercial security system installations. Bosch’s Remote Security Control App allows users to operate the system from an iOS or Android device. You will be able to arm or disarm individual areas, check the system’s status and control monitored points or doors using the Internet or a local wireless network. Here at Casa Security, we integrate cutting-edge Bosch products into our comprehensive alarm systems, but we don’t just leave it at that. We also provide an around the clock security and alarm monitoring service that will ensure your property, whether it’s residential or commercial, is kept safe and secure at all hours of the day and night. To learn more about our security products and services, contact the team at Casa Security today!